RE/MAX associates across Canada and around the world share a sense of community involvement, and take seriously their duty to be caring citizens as well as top real estate professionals. Over the years, RE/MAX Associates have distinguished themselves as leaders in the their communities, using the RE/MAX Community Care Program to give back to the communities where they work, live, and play. Since 1983, the Children’s Miracle Network has worked endlessly to fundraise and support Canadian Children’s Hospitals. It is with their help and resources that hundreds of Canadian families have witnessed miracles and found support during difficult times. Their network consists of over 170 Children’s Hospitals, which treat 1 in 10 North American children every year: that's 62 children every minute! It's through the Miracle Network that Canadian children can receive treatment for diseases such as asthma, cancer, heart disease, birth defects, and physical injuries. From the smallest of injuries, to heartbreaking terminal illnesses, our Network Hospitals stand as pillars of hope for Canadian families. Thanks to the support and dedication of RE/MAX, the Children’s Miracle Network can continue to make miracles happen in the lives of our future generations. 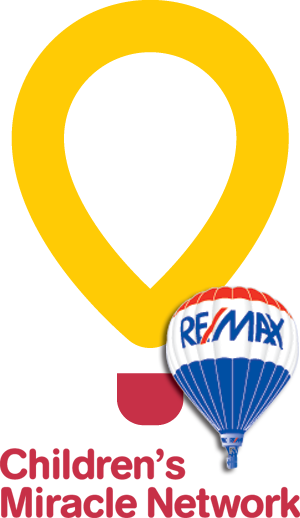 RE/MAX associates have proudly raised over $115 million for the Miracle Network since 1992. In Canada alone, RE/MAX has helped raise over $44 million. Out of the entire RE/MAX organization, RE/MAX of Western Canada is the largest contributing region: for seven consecutive years they donated over $1.7 million each year. RE/MAX real estate professionals volunteer in their communities, host fundraisers, donate a portion of their sales, and are proud advocates for the Children’s Miracle Network. They are the unsung heroes that help bring positive changes into the lives of sick Canadian children. 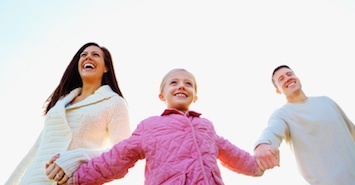 These individuals provide the Miracle Network with the funds needed for state-of-the-art equipment, programs, and support services to Canadian families. RE/MAX: Outstanding Agents, Outstanding Results.